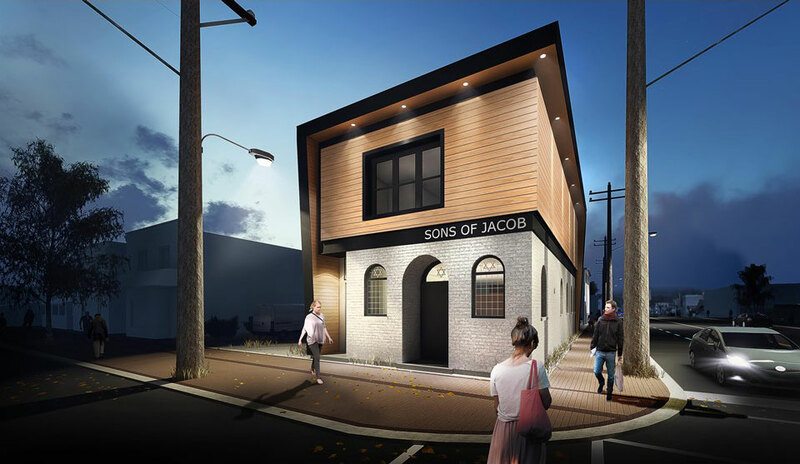 The Sons of Jacob Synagogue is the oldest synagogue north of Toronto still in use as a place of worship. Built in 1913 as a grocery store, it became a hardware store and later a furniture store. 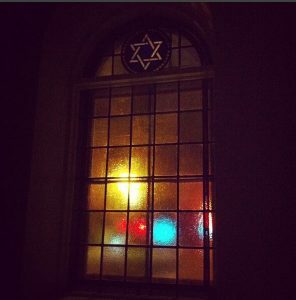 The first services in this building as a synagogue were held in 1925, the year North Bay was incorporated as a city. From 1925 to 1980 there were at least 60 Jewish families living in North Bay and area. Through the 1950s, 1960s and 1970s many of the retailers on Main Street were Jewish merchants. As with all Northern Ontario Jewish communities, as members of the community retired and moved south, and as their children moved south for school and careers, the Jewish community here declined. There are presently 15 or fewer Jewish households in North Bay and area, with several of those having moved to North Bay in the past decade for employment. The Synagogue continues to be maintained for occasional religious services and has the only remaining kosher kitchen in the area. In 2007 the congregation suffered a devastating blow when a burst pipe flooded the sanctuary and caused $150,000.00 of damage. The Bimah (stage) and the Ark that holds the three Torahs was damaged and had to be rebuilt. Thankfully, the Torah scrolls required only minor repairs. Thanks to the generosity of the citizens of North Bay, the damage was repaired and High Holiday services were held the same year. In a small city like North Bay with so few Jewish people it’s wonderful to see that the Jewish tradition is being continued with help from the greater community.